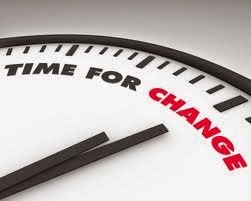 Time for Change - Getting Insurance Quotes Online is today’s new norm. With the enhancement in the technology and services like SSL, online purchasing can be as safe as today shopping anywhere else. The extreme benefit of online purchasing is staying away from the product dealer / sales representative during price comparison. However, some shoppers do not enjoy such situations. If we are talking about the insurance products – getting insurance quotes online is today’s new norm. All major insurance providers in India allow individuals to get quotes through their websites. In addition to the insurance broker’s website, such websites like www.bajajcapitalinsurance.com , policyboss, easypolicy etc allow access to multiple insurance plans from the different providers within minutes. Here the question arises, why we should go online while looking for insurance quotes. Following are the three major concerns, which are likely the main reason of buying insurance policies online. Negotiating: Insurance representatives are trained negotiators. Sales persons are capable enough in find out how to get you to purchase a particular insurance product. In case of online insurance purchase, you become anonymous, and you can negotiate well enough w.r.t insurance plans. Salespeople: Sales people have a reputation of being persuasive. Because of the increasing trend in internet sales, many insurance providers employed online sales department that totally differs from traditional sales departments. Online sales representative offers aggressive premium with details related to specific requirements. Online sales persons are usually more upfront and less aggressive as compared to offline sales persons. Price Comparison: last but not the least, the very important aspect of the online insurance purchase is that you can compare the different insurance offering with plan details/premium within minutes. Buying insurance online makes the process of insurance-purchase hassle free. As internet is a very competitive market, you are hopefully to view correct and appropriate insurance solution with the best premium.